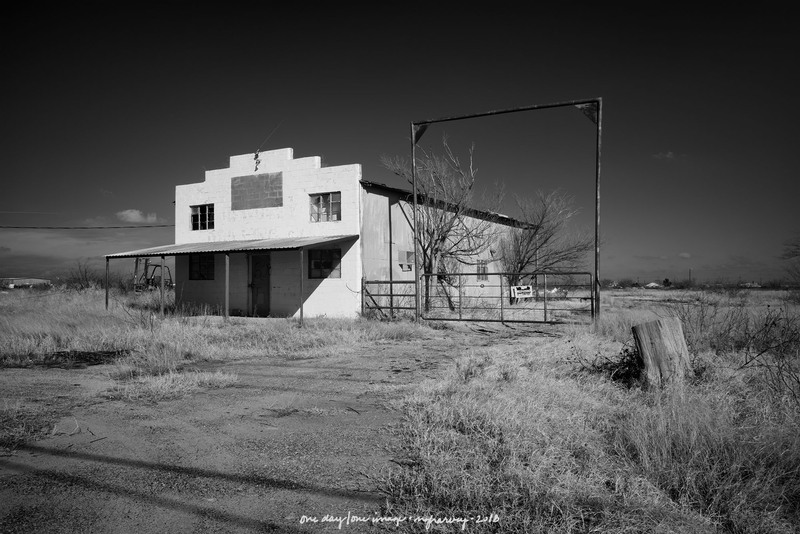 Posted on December 29, 2018, in Photography and tagged 365 photo project, abandoned buildings, black and white photography, learning to see, Leica, lubbock, lubbock texas, melinda green harvey, midland, midland texas, monochrome, one day one image, photo a day, photography, postaday, road trip, texas, thoughtful seeing, travel photography. Bookmark the permalink. 6 Comments. Well, that is on Cotton Flat Road near West Francis. I think it is a pretty interesting photo. I wonder who built that and what business was there and why it is now apparently abandoned. And why the gate? Yes, it IS on Cotton Flat Road, and it is easy to find when you know where it is!! I was going off memory (always a bad idea) at first. And that gate sure seems unnecessary, doesn’t it? Love your story! Please don’t ask me how I know about taking the shot even after you’ve decided it’s not worth it—what with all the time you’ve invested in it. Sheesh. Ha! Ha! I bet anyone who’s ever taken more than 10 photos knows this story!